Today is a proud mummy day. My daughter got her first school report and it was filled with nothing but praise. She has had an amazing first year at school and has excelled in so many things. I knew she was a fabulous reader and is great at writing but she also is bit of a bright spark when it comes to maths apparently. But the one sentence out of the whole report which made me the proudest was this one: "She is a kind, caring member of the class with many friends." It's great being bright but what we all want the most for our children is for them to be good people and happy people. This confirms to me what I already knew, she is a rather special little girl. And to change the subject I feel like this blog isn't summery enough. I love all the pictures I post here but recently they've not been as bright and sunny as they should have been at this time of year. 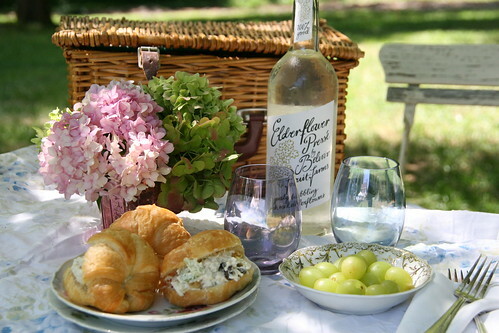 So let's kick off the summer love with this gorgeous photograph which is a perfect picnic image. The sun has been captured wonderfully. I feel warm just looking at this.